Riders are the cornerstone of our industry. It’s the people we meet and places we get to go to that make our sport great. Some like to go it alone, but more like to travel, camp and ride in groups. We want to celebrate riding groups that not only meet on the weekends, but they also gather during the week in chat rooms, forums and in Facebook groups to discuss past trips, plan new ones, and help each other with tech and setup issues. This month we are highlighting a California group known on Facebook as Knuckles Up Side X Side Off-Roading. The Knuckles Up guys helped promote and put on the Summer in the Sierras Off-Road Expo (www.skichinapeak.com) this past September. Photo credit: Knuckles Up. James Murray is the ringleader of the Knuckles Up group. He organizes the larger group events; however, some of the members set up their own smaller trips too. Photo credit: J Reed. The term “knuckles up” comes from the position of your hands at 10 and 2 o’clock on the steering wheel. The group’s administrator, James Murray, is based out of Pismo, California, but it’s not just dune riding they do. Some members of the group meet on average once a month at popular and not-so-popular ride areas around California, Nevada and beyond. The Knuckles Up Facebook group is over 8000 members strong globally. Locally, the group gets around 100 people to show up for the larger rides. 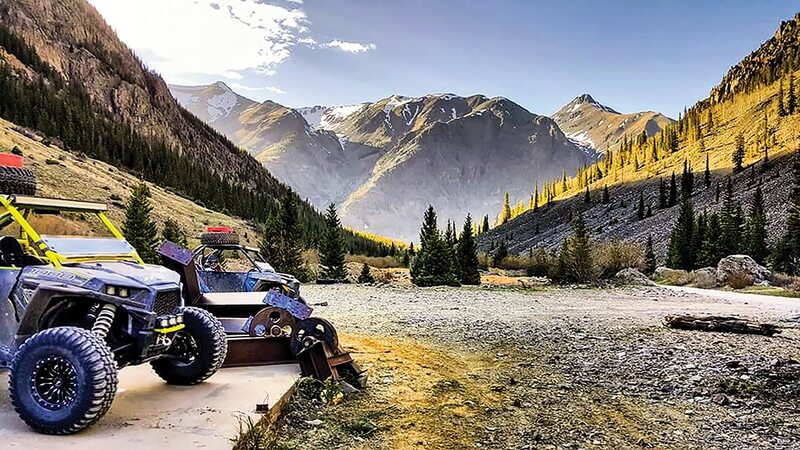 We are sure there is some Polaris/Can-Am rivalry within the group, but we know they don’t care which machine their buddy is in when they discover cool spots like this. Photo credit: J Reed. Knuckles Up was started approximately three years ago with two goals in mind: meet new friends and find new places to ride. It is a family-oriented group that enjoys the outdoors and off-roading. The riding group is adventurous, fun and is growing rapidly with members worldwide. As of this writing, the Facebook group is over 8100 members strong, and there is no cost to join. 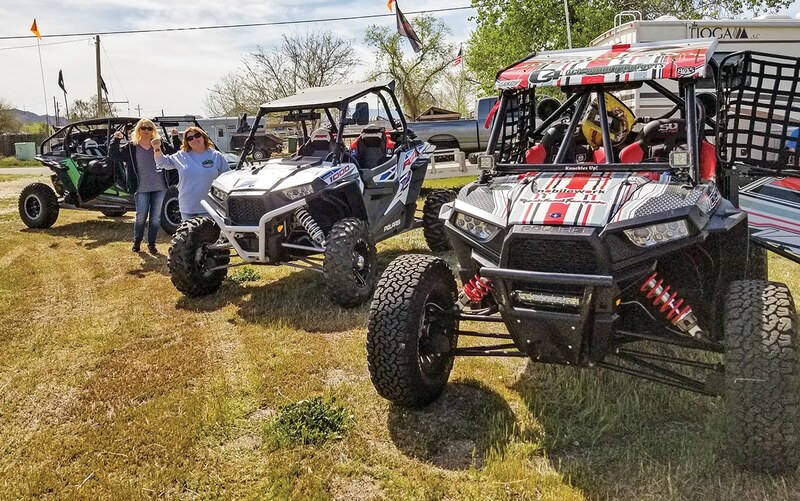 They offer four or five major group rides a year, and this year’s lineup includes New Year’s in Gorman, Memorial Day in Lone Pine, Halloween in Hollister Hills and Thanksgiving in California City—all in California. If the crew is not around the campfire discussing past rides and planning new ones, they can do it online in the Facebook group, on Instagram or YouTube. The group does most of its communication through social media, including Facebook, Instagram and YouTube. 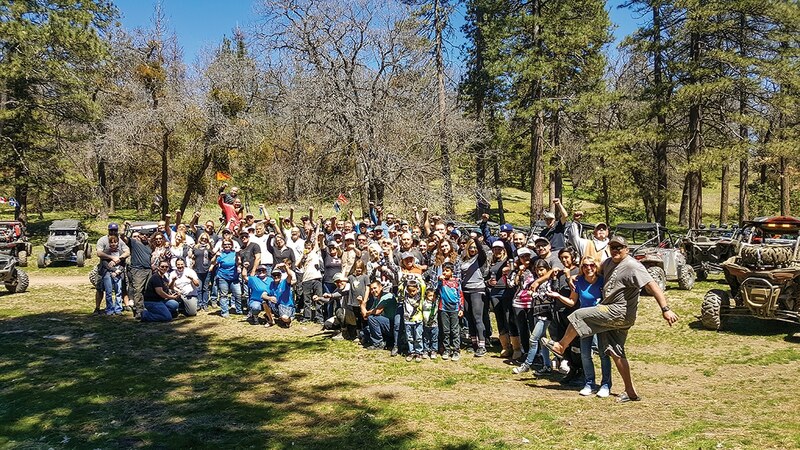 On Memorial Day weekend in the Eastern Sierras, members explored a salt tram, the tenders cabin, Cerro Gordo ghost town and camped at Boulder Creek RV Resort just south of Lone Pine, California. One of the coolest sites they visited was Reward Mine near Independence. You can actually drive the Side x Sides approximately 3/4 of a mile below the Earth’s crust with room for four cars at a time and room to turn around at the bottom. Knuckles Up started three years ago with a great slogan representing your hands on the steering wheel at the 10 and 2 o’clock positions. Photo credit: Knuckles Up. 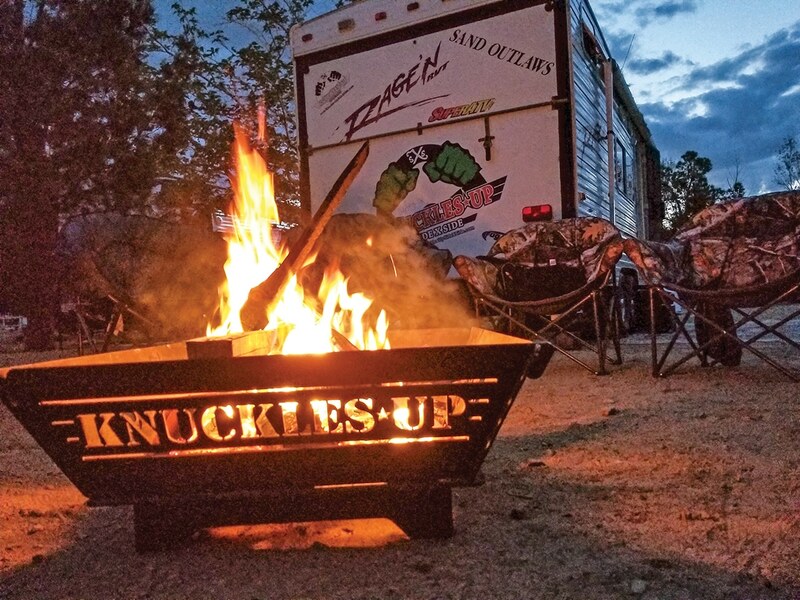 New for this year, Knuckles Up helped promote the Summer in the Sierras Off-Road Expo. The expo was at China Peak Ski Resort (www.skichinapeak.com) which is less than two hours east of Fresno, California, up in the cool Sierra Nevada Mountains. The riding is both beautiful and technical—exactly what we like. If you ride a Side x Side and are looking for a good group of people to ride with in the central and SoCal area, then Knuckles Up is the group for you.